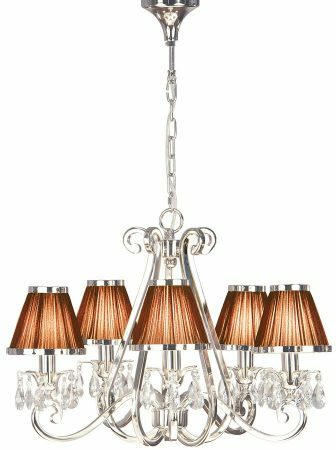 The Oksana polished nickel 5 light chandelier with crystal drops and chocolate shades, an opulent chandelier, with large faceted crystal droplets adding a touch of glamour. 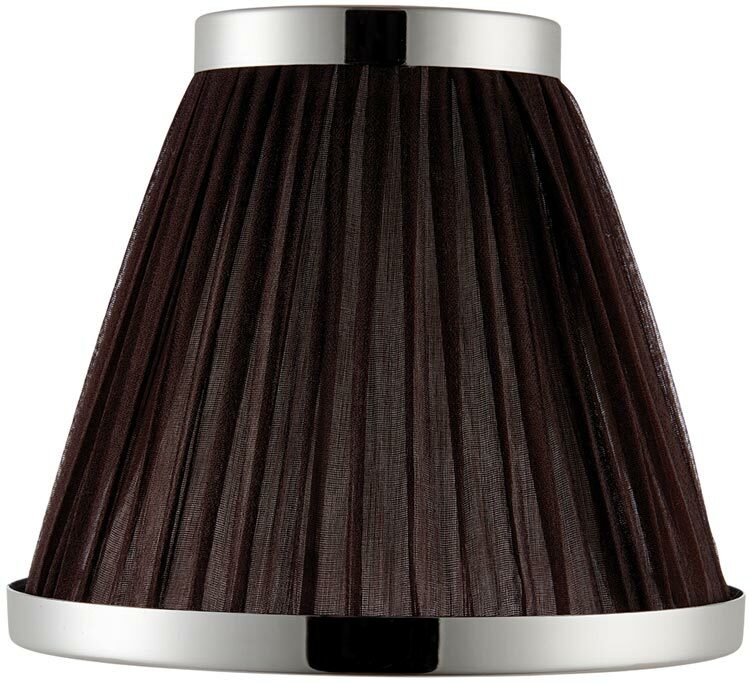 Supplied with wonderful 6-inch chocolate faux silk pleated shades that feature a polished nickel trim at the top and base. 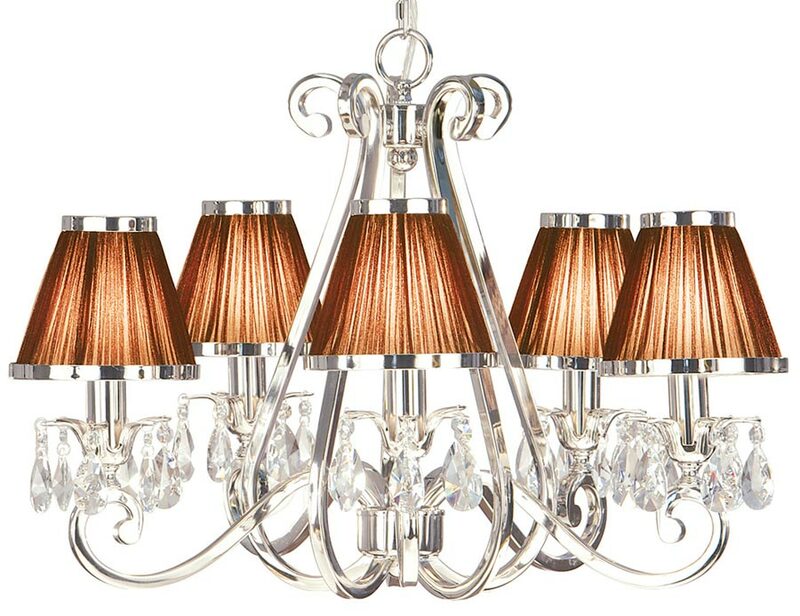 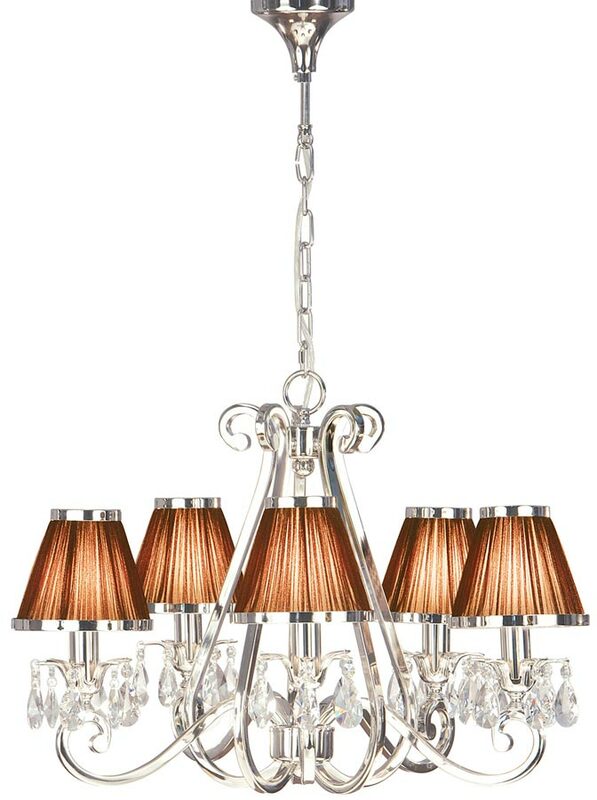 The Oksana polished nickel 5 light chandelier with crystal drops and chocolate shades, part of the New Classics collection, an interiors 1900 exclusive design that has previously won the lighting show best product award.